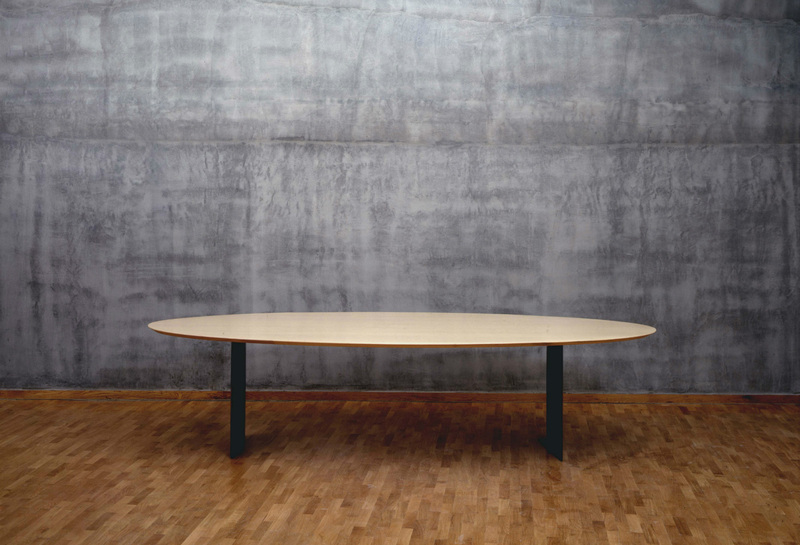 Created in 1989 for the National Assembly in Paris, this “Assembly” conference table has a form giving the appearance of exceptional lightness, due as much to the line of its top as to its tapered base. 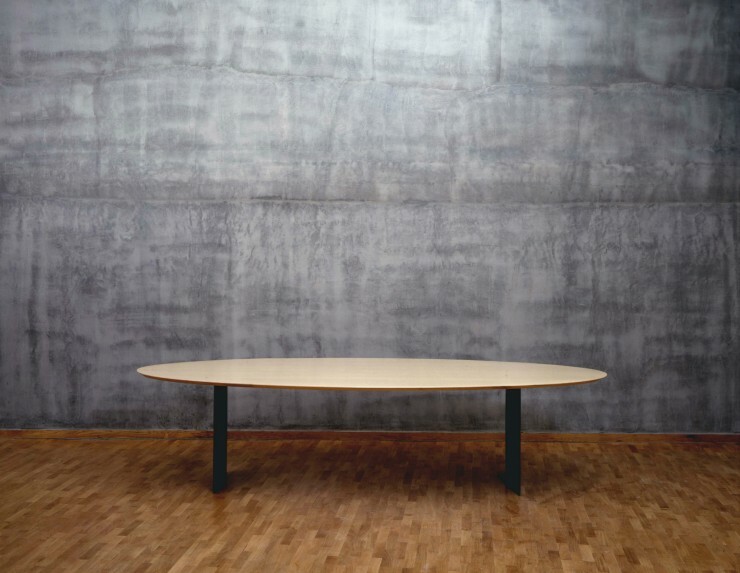 This table was designed to be adapted to many spatial configurations: from dining rooms to conference rooms. The top and base can house all necessary utilities and equipment (electrical outlets, electronics, and sound equipment). Round, oval, ellipsoidal, square or rectangular. Wood top (MDF or sycamore) or tempered glass (natural or sandblasted); metal base.